Do you feel like your genealogy research is at a standstill? Have you hit a roadblock or run out of records to search? Perhaps you have an ancestor you just can’t seem to find information for. Maybe you feel that you have exhausted all the available resources. In times like these, the FamilySearch Wiki can be just the thing you need to get your research moving again. You can also share your research wisdom with others by contributing to the Wiki. 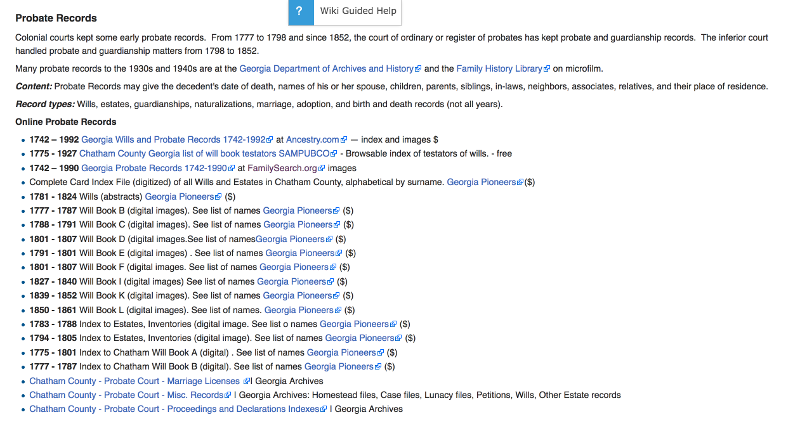 You can search or browse the more than 82,000 articles on the FamilySearch Wiki. 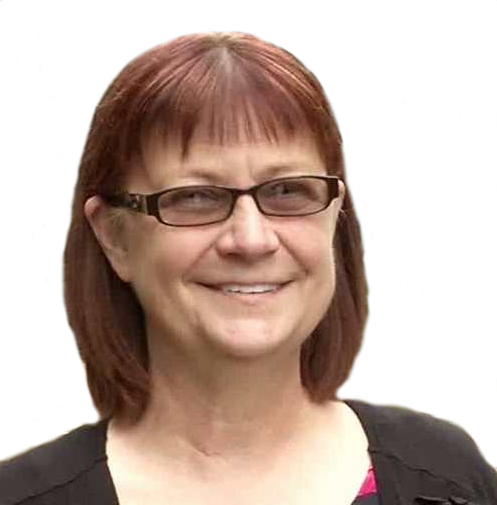 The Wiki Home page is your starting point. Let’s do a sample search for “Savannah, Georgia” and view the search results. 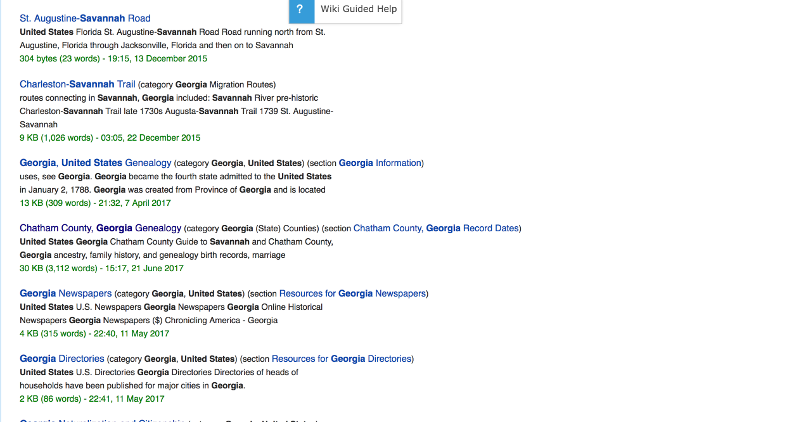 Now, let’s select the article “Chatham County, Georgia Genealogy” and view the Wiki page. At the top of the page, we see a table of contents for the page, and a map showing the location of Chatham County, Georgia. Next is a section I find especially helpful if I am researching an area I’m not familiar with: a chart showing the beginning dates for various record types in the county, and a list of county courts, with addresses and contact information. 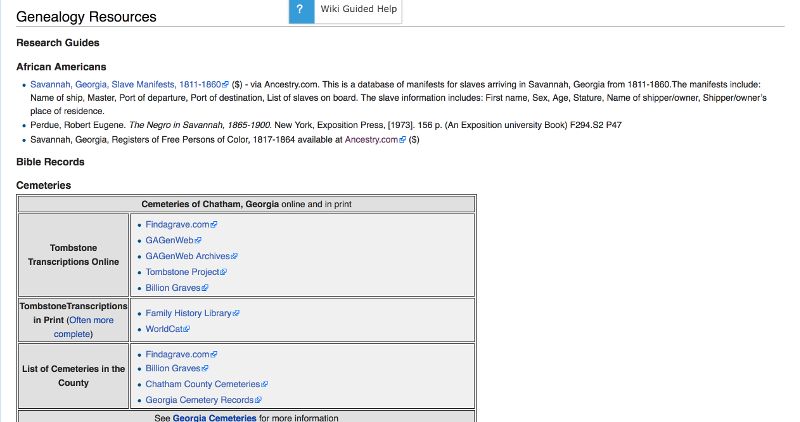 The page includes an extensive list of genealogy resources for Chatham County, Georgia, including a section with resources for African American genealogy research in Chatham County. The list includes links to online collections and resources. The United States Record Selection Table is an especially helpful research tool to keep handy when you are researching. It is a quick reference for which records may contain specific information you are seeking. 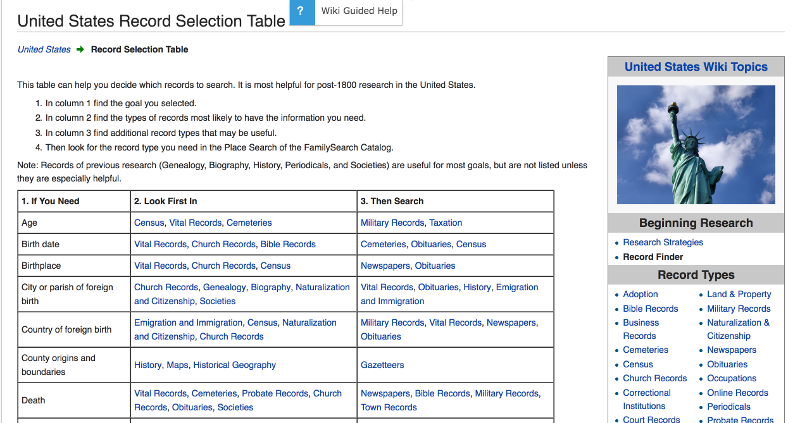 The FamilySearch Wiki contains articles for every level of experience, from Family History for Beginners to Solving Tough Research Problems. 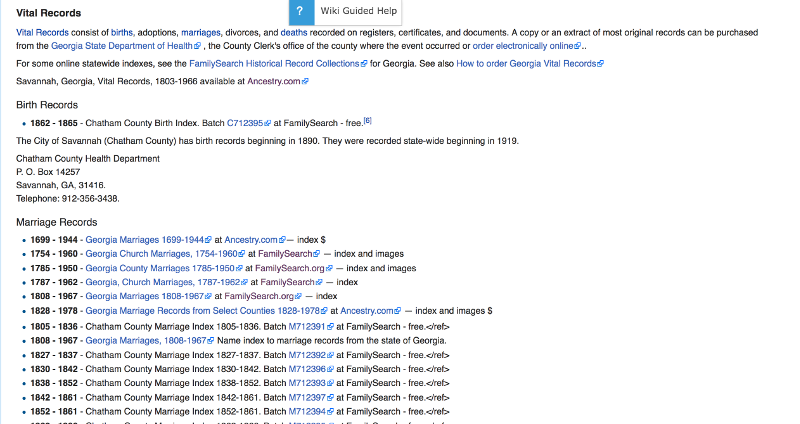 Ready to give the FamilySearch Wiki a try? Conduct a sample search for your area of research interest. If you find new resources, let us know in the comments below!